Dogs like chewing on things. 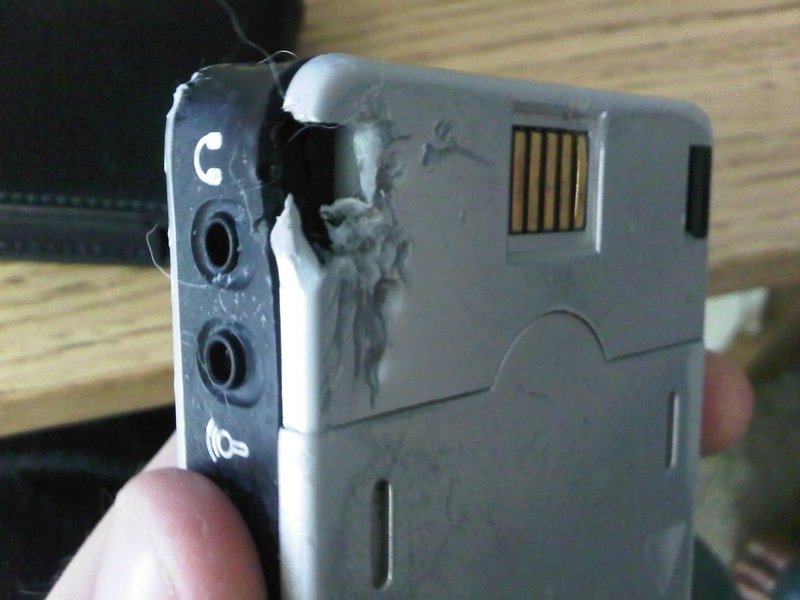 Electronic devices are often small and easily chewable. Hijinks ensue. For control purposes, the following items were all chewed up by the same dogs over a period of a few years. 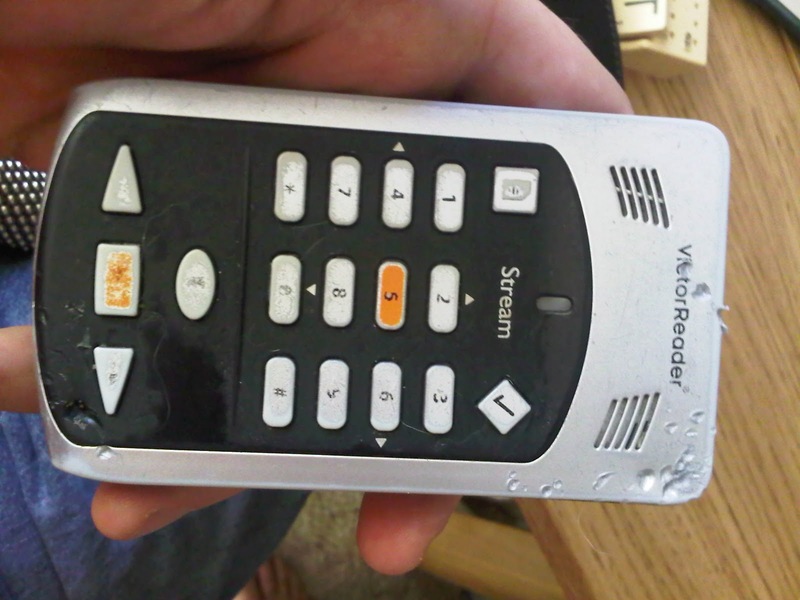 They provide a sliding scale of how much damage your dog can do to what you hold most dear: your handheld devices. SD cards are pretty small and fragile. They're designed to go inside more sturdy devices (phones, cameras, sewing machines), and rely on the extra protection to survive. They're definitely not built for a foray into a dogs mouth. Opening it up, you can see the chips themselves are badly cracked. Once you get physical damage like this, there's zero chance of recovering any data. 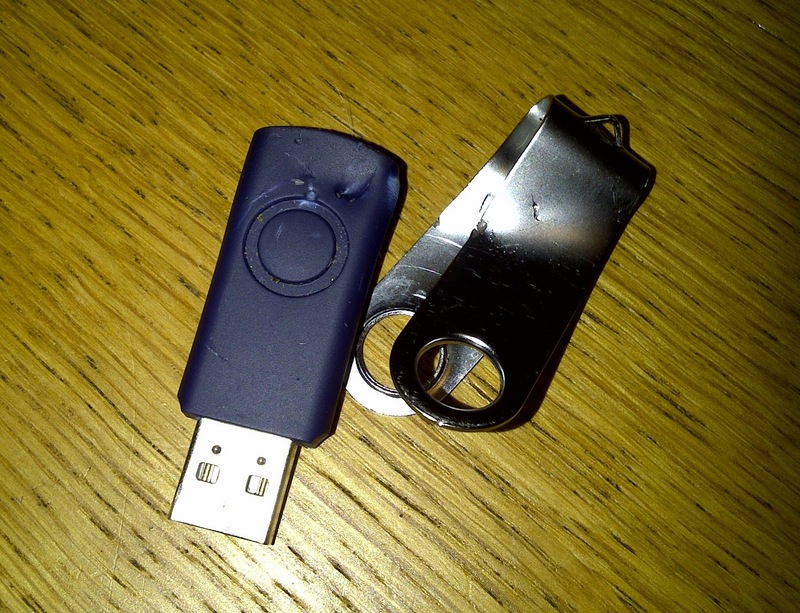 Thumbdrives are made of sterner stuff, since they spend half their life bouncing around in your pocket and being forcefully thrust into USB ports backwards. It's hard to judge what might happen in a dogs mouth, but liquid damage wouldn't be much of an issue - I once put the same thumbdrive through a washing machine three times before it finally broke. This one had a bonus layer of metal which gave up its life to protect the delicate layers beneath. The memory chips survived but the drive didn't mount when plugged in. Close examination revealed a few small breaks in solder, so a few minutes work with a soldering iron should bring it back from the dead. This is a bit of an unfair example as it's an uncommon and unusually hardy mp3 player. You can see it has a thick plastic shell, with no screen to provide an easy breaking point. This one is remarkable because of just how well it survived. 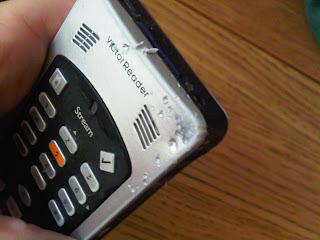 The dog had been chewing on the corners for quite a while before anybody noticed, and yet the plastic is barely dented.. Every button, speaker, jack, and panel survived in working condition. The same MP3 player survived a second round with the labrador a few months later, so they must make these things tough. 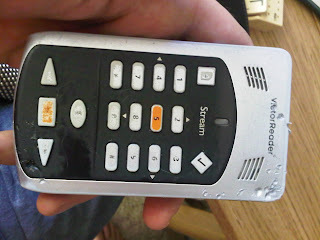 I guess the lesson to take from this is if you're going to give gadgets to your dog as toys, use the biggest you have. If you change your mind, it might still work.